Thirty years after the original Game Boy was first released, handheld gaming is as popular as it’s ever been. Smartphones provide endless entertainment, and Nintendo’s current flagship console is even a portable device. But what if 1983-era technology had allowed the original NES to go portable? My Arcade’s new Retro Champ re-imagines Nintendo’s original 8-bit console as a Switch-like portable. 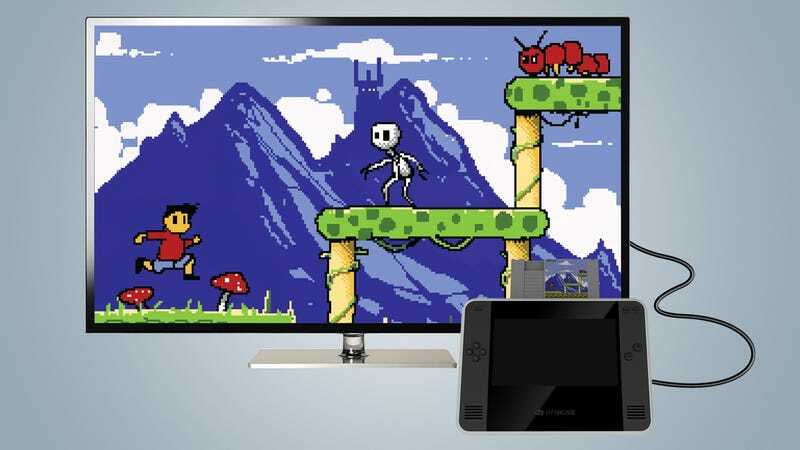 Unlike Nintendo’s NES and SNES Classic Edition consoles which come packed with a small selection of classic games, My Arcade’s Retro Champ can play the entire library of 8-bit NES and Famicom games—assuming you still have the original cartridges lying around. On the back of the Retro Champ you’ll find two opposing cartridge slots that can accommodate those giant slabs of plastic that feel like gaming relics at this point. 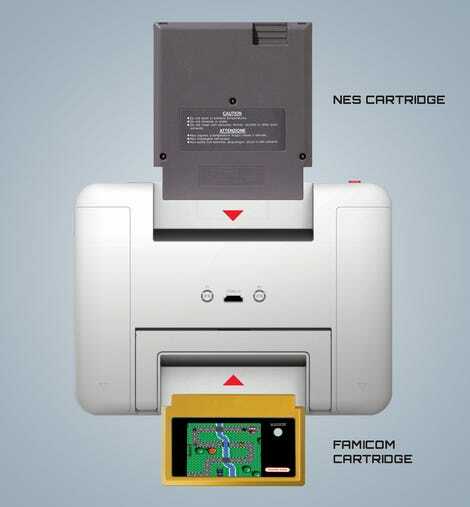 As a result, the Retro Champ is no where even close to being pocket-friendly. Compared to even the Nintendo Switch, it’s massive, and will be relegated to backpacks and shoulder bags. The hefty design does have its advantages, however. My Arcade has given the Retro Champ a generous seven-inch LCD display, and has packed the console with enough batteries to keep it running for up to 35 hours on a full charge. And for those times when you get tired of holding the portable up to your face, it has a built-in kickstand and can be played with My Arcade’s wireless controllers. It even has an HDMI port so you can enjoy your favourite 8-bit titles on a larger screen.